As we've discussed previously in this blog, LinkedIn provides an extraordinary opportunity to get in front of B2B prospects. If you're a B2B company focused on growing revenue, then leveraging LinkedIn has to be a consideration for your marketing plan. LinkedIn’s marketing solutions are one of the most cost-effective ways to get in front of the right B2B audience. While the cost-per-click is higher than other digital advertising channels, the adaptability, targeting criteria, and lead gen forms mean that if you’re applying the platform correctly, your cost per quality lead should be lower than other options. 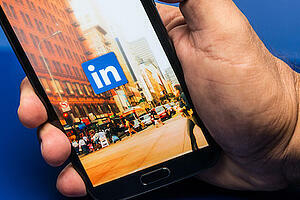 How can you use LinkedIn ads to jumpstart your demand gen efforts and grow revenue? Here are 3 successful tactics that we’ve used with our clients that you can quickly implement. One targeting criteria for ads that can give your campaigns more power is member groups. Why? Because LinkedIn Groups provide a place for professionals in the same industry or with similar interests to share their insights and experiences, ask for guidance, and build valuable connections. Therefore, people that join groups on LinkedIn are more likely to be passionate about the topic or group. They also tend to have information that can help them perform their job better. To be clear, we're advocating that you use membership in a group as a targeting criterion when building ad campaign audiences — not for posting ads directly in groups (which is frowned upon). Note that utilizing member groups for targeting could significantly reduce your target audience and injure your lead volume. But what you lose in lead volume you gain in lead quality and you bring down cost-per-lead. Win-Win. We recently ran a campaign for a client promoting an eBook on a technology called SD-WAN. We targeted both end-users of the technology and target accounts via LinkedIn Ads. To target end-users, we honed in on the following targeting criteria: titles, company size, and industry. For target accounts, we used: specific companies and SD-WAN member groups. Though our potential audience was significantly lower for target accounts, we saw approximately the same number of leads come in over a two-week test period. More importantly, every lead that was produced from the target accounts was from a company that the client wanted to engage. Not only was the lead quality better, but the cost-per-lead was significantly lower. While this test alone does not have enough data behind it to draw a definite conclusion, it should be enough to spark your curiosity. The next time you create a LinkedIn ad campaign, do the research and use relevant groups as a targeting method. Your audience will be smaller, and you may produce fewer leads overall, but more often than not those leads will be the right ones. Sponsored InMails are a way to message LinkedIn members within the target demographic you specify. Because Sponsored InMails are unsolicited, they can come across as spammy without the right proposition. When applying this method, it’s necessary that what you offer up has value to the recipient. While we tend to avoid using Sponsored InMails for anything that would be perceived as selling, they do offer a great opportunity to promote events and webinars. This is especially true when hosting events in specific cities when you can dial in the appropriate geographical areas. We previously helped promote an exclusive C-Level event in the Chicago area for one of our clients. With a budget of $700, we were able to utilize Sponsored InMails to send out personalized invitations from the organization’s CEO. In total, we were able to attain 13 additional requests to attend the event, with six of those requests coming from organizations with over $1 billion in annual revenue. With a cost per lead of $54, given the average deal size, if any of these relationships can be nurtured through to a deal, the campaign would produce a tremendous ROI. Your best qualified leads from sponsored content are going to come through your LinkedIn lead gen forms, but there are various ways that LinkedIn users can engage with your content. Like any other post, they can like it, share it, or comment on it. While these LinkedIn users may not have downloaded the content you’re promoting, they’re demonstrating interest in your message and company. It’s valuable to investigate each like and share a bit further and proactively drop them a note on LinkedIn. 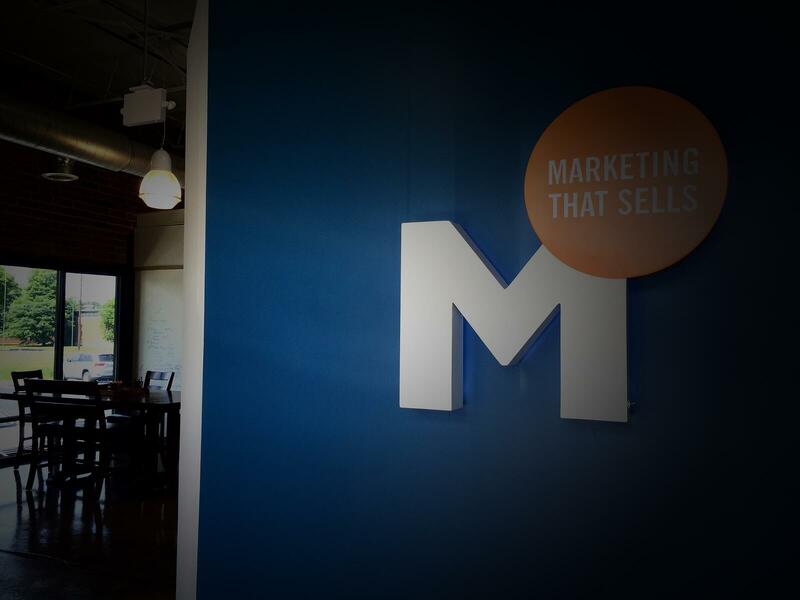 One of our best performing sponsored content campaigns for a specialty B2B consulting firm generates about 30 leads per month. Concurrently, the sponsored post has garnered an additional 24 likes. By doing a bit of digging on each person that likes the post, we provide more information to the client on the target audience engaging with our ads and offer them new leads they can warmly reach out to. Utilizing LinkedIn advertising solutions provides tremendous value to our clients' demand generation efforts. As an outbound marketing tactic, it’s a great way to push content into specific markets and engage with new audiences. While the cost per click is higher, it’s important to look beyond overall lead generation numbers. Instead, focus on the quality of the leads you’re producing. As you put together your growth plan and strategy, selecting and optimizing channels like LinkedIn is critical to seeing success. Know you need to grow but are unsure where to start? Check out our growth guide.